This is I must admit a mildly insular subject to be having a bit of a ‘rant’ about. I do have a firm opinion on the matter, and I do actually find the whole premise of the post a tad offensive, but not in a way which makes me fume. Ostensibly I just believe the post is based on, what for me, is a false premise. It is not that it is bad advised that is being given out by whoever make the original post. Not entirely ‘bad’ at any rate. I just don’t agree with it. Like the majority of ‘How to succeed as a writer’ posts and self-help books which have flooded the market, Facebook writers groups and anywhere else they can get thrown out into the world. But here is the thing, this is the kind of ‘advice‘ that I have always found patronising at best. 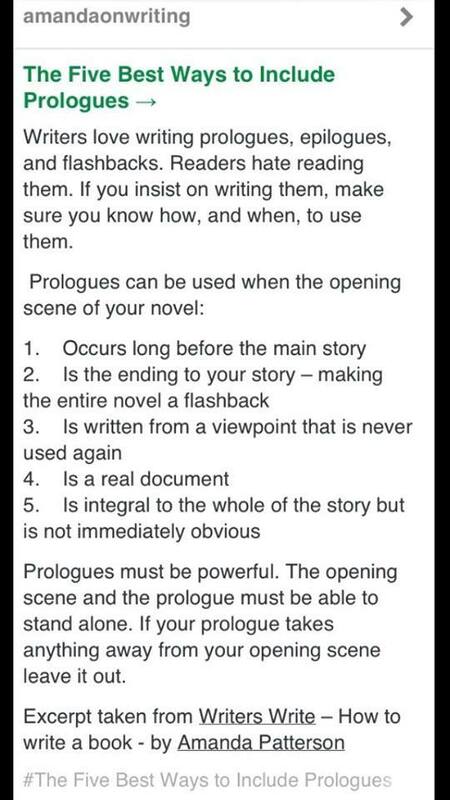 It is based, as all such ‘self-help’ books are, on the concept that there is some golden formula to writing a novel. A writer should write what they want to write, and write it how they want to write it. Readers do not want carbon copy books which are exactly like any other book they have read. They should write for an audience sure, but primarily they should make that audience themselves first. They should also bear in mind the most important rule, one which ‘self -help’ books seldom focus upon. Readers like what adds to the story. The story you want to tell is what should drive your novel and a good prologue or epilogue or flashback can do just that. If it sets up something, holds the reader’s interest, and just plain adds to your tale. A good writer, at the end of the day, tells the story they would want to read. They explore the story and their characters, how they wish to explore them. Because if the book doesn’t hold the writer’s interest, he is going to struggle to hold the interest of anyone else. You have to be true to yourself, true to your characters and true to your story. Tell it the way you want to tell it, and if you do that, and you’re lucky enough to reach them, you’ll then take the readers along with you. 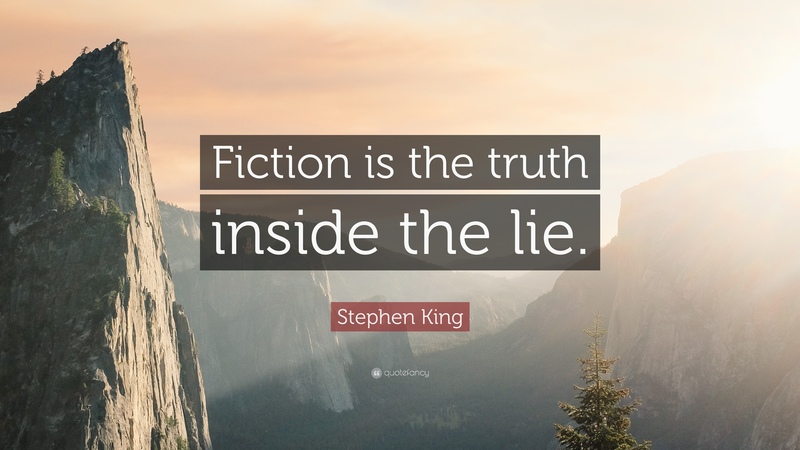 Another of Stephen Kings pieces of golden advice is ‘tell the truth.’ Which is advice I set some store by, because if it’s not the truth then you will not believe it yourself. And if you don’t believe in it, how can you expect anyone else to? A writers ‘truth’ can be very odd, but it has to be true all the same. Honest to itself and its story… And importantly, in the context of this post, to how they want to tell the story. One of the strangest reactions I got when I finally unleashed Cider Lane on the world was from a close friend who writes a fair bit herself, and I paraphrase slightly. The last bit was kind of the point. It was after all what I was aiming for. Ultimately though I wrote the book that I wanted to write, the way I wanted to write it. People can love it or hate it, but it was mine, it was true to what I wanted to write, and that, for me, is really what matters. (occasionally the first edition treated grammar that way too. That’s an actual error and one I fixed with a new edition). Cider Lane flits between the male and female POV characters with every chapter, telling the story from both sides, letting you in the minds of both main characters. Letting you see them as they mostly misunderstand each other, because that’s the only way the story could be told. It was the way the story wanted to be told. To borrow from Mr King once more, ‘it was the way the story needed to be dug out of the ground.’ as he expresses the process of writing in ‘On Writing.’ An experience I understand as it seemed to be how I find my own stories. If Cider Lane follows any formula, it is its own. One which I have intentions of following in another novel. In fact, I suspect I will never write another book in its vain again. It is unique in that respect if not in any other. It is not in a genre I would normally write in, it just came to me in the way it did and became the novel it is, because it’s the only novel it could be. Besides which I don’t want to write the same book again, in part because I want my readers to have a different experience with every book, and because every book is a different experience. For both the writer and the reader. No reader ever experience the book in the way the writer does, or indeed in a way, anyone else does. Reading a novel is a unique experience, unlike the cinema or TV, because it lives in your imagination. Just as it came to life in the writers. If readers wanted the novels written to a formula, they would never read ‘Fight Club‘ or ‘The strange case of the dog in the night-time,‘ or ‘Lord of the Rings‘ for that matter, which became a formula but followed none itself when it was written. And therein lays my ‘firm opinion‘ on writing preludes and epilogues (neither Cider Lane or Passing Place has either, but that’s beside the point). As well as for that matter on flashbacks, (which I used a lot, though not as straight flashbacks exactly). My advice, should it be sought, would be to ignore all these ‘golden formula’ advice posts and write your story your own way. This entry was posted in cider lane, opinion, writes and tagged #amwriting. Bookmark the permalink.